Be prepared to cry. 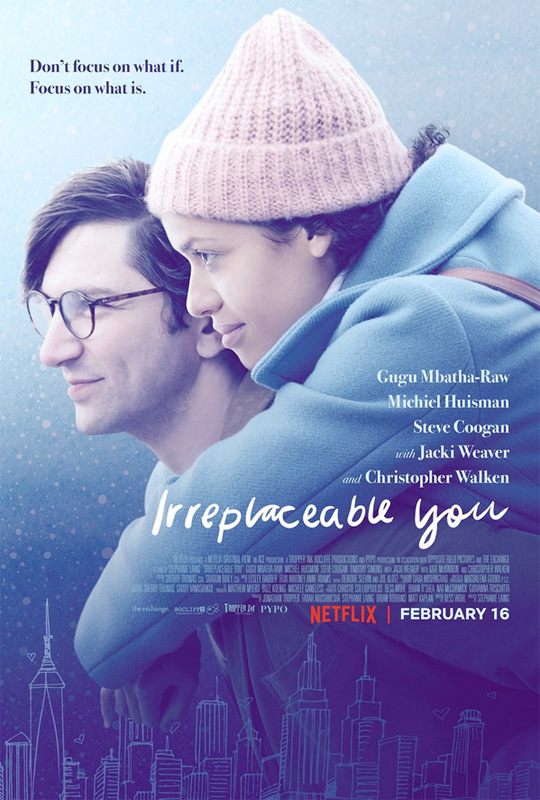 Netflix has debuted an official trailer for a romance film titled Irreplaceable You, the feature directorial debut of TV director Stephanie Laing. The very talented Gugu Mbatha-Raw stars along with Michiel Huisman as two lovers who have been together since childhood, knowing they'll spend their lives together. The plot is actually a very heavy tear-jerker, about Mbatha-Raw being diagnosed with cancer, and she tries to help him find another woman before she dies, hence the title about "irreplaceable you." The full cast includes Kate McKinnon, Claire Holt, Jacki Weaver, Christopher Walken, Steve Coogan, Gayle Rankin, and Jessie Ennis. There's some humor in this to help shake up the heavy emotions, but it still looks like a very sweet, very lovely film about life and love and how to make the most of it. Watch below. Newly engaged Abbie (Gugu Mbatha-Raw) and Sam (Michiel Huisman) have been the love of each other’s lives since childhood. But when the future they envisioned together takes a tragic turn, their relationship is put to the ultimate test. Irreplaceable You is directed by filmmaker Stephanie Laing, making her feature directorial debut after extensive TV work previously including directing episodes of "Veep" and the TV film Dollface. The screenplay is written by actress Bess Wohl, making her debut as a screenwriter. This has not premiered at any festivals or otherwise. Netflix will release Laing's Irreplaceable You streaming exclusively starting February 16th this month, just after Valentine's Day. Who's planning to watch this film and cry?